Lara Olson Co founder and Senior Manager, International Operations Gathering Together, is the Outpatient Nursing Coordinator for Baobei. Gathering Together, partners with Baobei Foundation and has been instrumental in facilitating many adoptions into Forever Families around the world. Lara was in China at the time of this adoption. We are the Crew Family, Jason and Suzanne, and kids Aerin (age 14), Jack (age 13), Charlie (age 7) and Isabel (age 6). We currently live in The Woodlands, TX a suburb of Houston. I learnt about Baobei Foundation, from Jenny Crouch, who had adopted a child with special needs, from Baobei Foundation. I heard about their Healing Homes. We felt called to open our home to be a Healing Home too. My husband and I had nurtured a desire to adopt a child, even after we had two of our own children. But we had not actively pursued it. Within a week of contacting the Baobei team, we had Angie, joining our family, with just a few clothes, a container of formula and a Moses basket. We changed her name to Isabel. It was a whirlwind week, but we were so thrilled to have her with us. Isabel had one of the worst forms of Spina Bifida and had two clubbed feet, but when we held her we felt like there was nothing that we couldn’t face together. She needed us and we didn’t realize it at the time but we needed her too. During the adoption process, we found out that China had changed some of their adoption rules and released a new plan that families could adopt two children from the special focus (special needs and older children) group with the same paperwork. Shortly after that, we met Charlie who is only 8 months older than Isabel. He had been with the same Healing Home for a year and needed to be moved. The family was devastated that they could not adopt him (due to no agreement between Mexico and China on adoptions) and wanted him to transition to another family, so that he had a better chance of adoption, since he was getting older. Charlie came to live with us at the age of 18 months. At the time we had no idea what the scope of his medical needs were but he and Isabel definitely needed each other. To this day they are extremely close. We are extremely grateful for the opportunity to adopt them both. One of the best decisions we have ever made. I am impressed with the work of the Foundation, and their passion to ensure the orphans get the best of care, and are placed in Healing Homes, with families who will love and care for them. The foundation tackles some of the hardest medical conditions that require long and expensive follow-up care. These kids are fighters. Many walk and survive infections against all improbabilities. Baobei thinks every one of these children is worth it and they never give up on a single child. 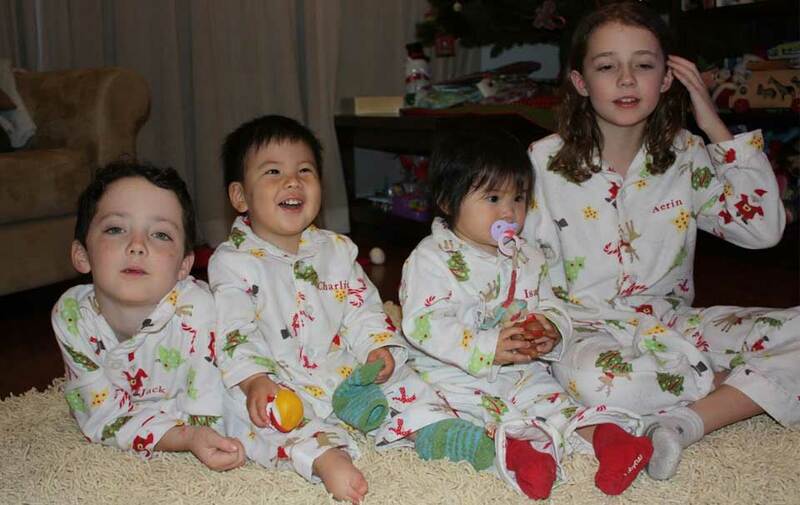 Through the adoption of Charlie and Isabel, our family has been molded into something new … something that is not fully American and not fully Chinese. The joy that comes from that diversity in our own home, and shared with our friends and family, is hard to describe. We are a complete family with them, uniquely our own. Our older two children are more compassionate, patient and accepting of others especially those with disabilities since Isabel and Charlie have been a part of their family. We have all been changed for the better through Baobei and our adoptions.